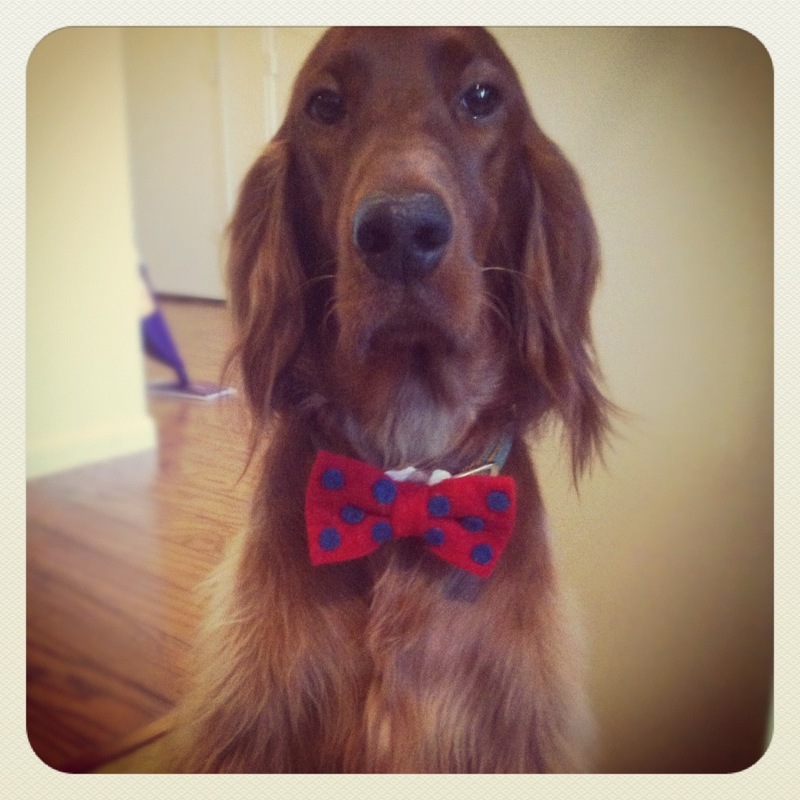 When I received this little package in the mail a few weeks ago I panicked. First of all, I don't have a clue how to wear a Masters hood (thank goodness for the instructions). Second of all, I was worried we were gonna be a Mardi Gras themed graduation. Come to find out, the purple and gold was for LSU (as expected) but the green represented medicine. Josh came to town and surprised me with a few sweet gifts. 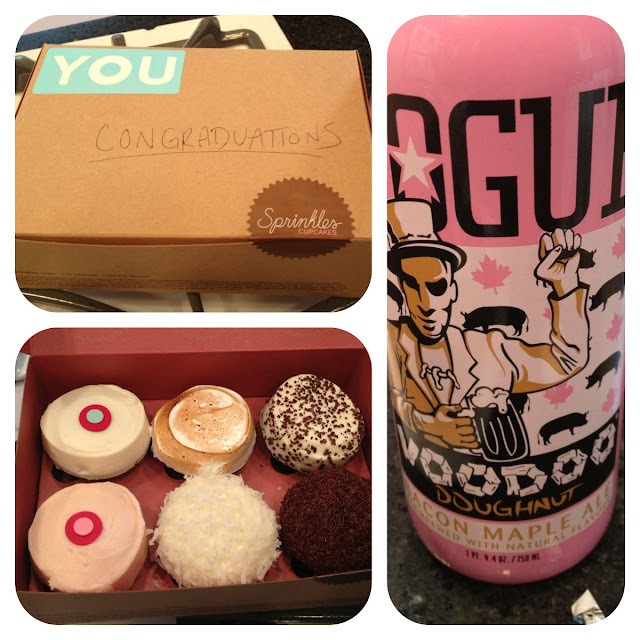 Sprinkles cupcakes and Rogue Voodoo Donut Bacon Maple Ale. He thought he was being witty by combining congratulations and graduation. I just thought Josh couldn't spell. 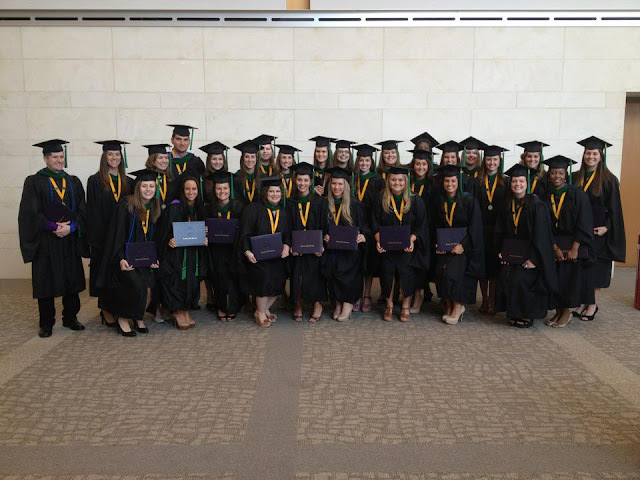 Anyways, Saturday morning my classmates and I spent our final moments together as a class transforming into what we have been aiming to be for the last two years: Physician Assistants. It was a rather quick ceremony, but it was filled with memories that will last a lifetime. They can't fail us now. We were the first Masters class to graduate from LSU. My family, as well as Josh's, celebrated after at Cantina Laredo.
. . . and then we headed to my grandmothers afterwards for some potential wedding cake sampling. 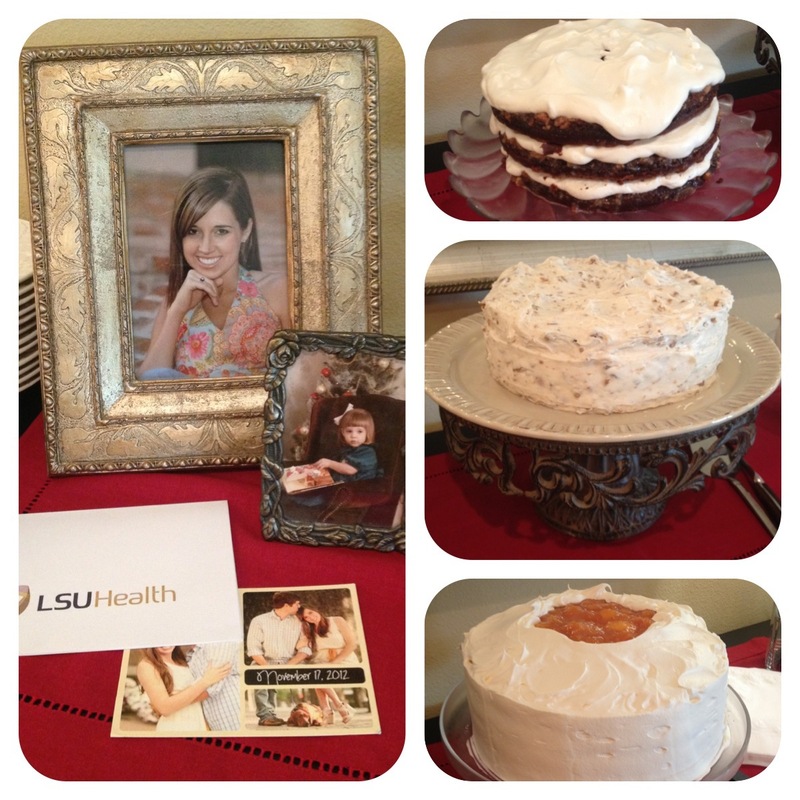 We had chocolate praline, carrot cake, and peach cake! Allison said Josh and I needed to practice cutting the cake for the wedding, which turned out to be great advice, doing it together is kinda hard. 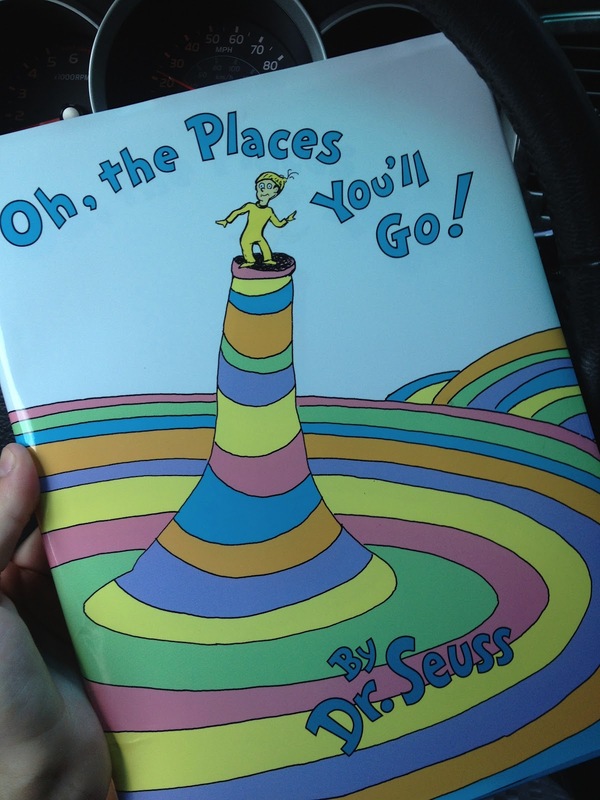 I received this book for my high school graduation, and I gave it to Ellie for her high school graduation as well. It truly contains many of my favorite quotes of all time. And YOU are the one who'll decide where to go . . .
Congratulations on your graduation! That is amazing. Best of luck in your career! all too exciting! and those cakes! holy yum!